The University has established its Health Centre in the year 1976 with meager infrastructural facilities and with a permanent Medical Officer at University Campus and another unit at University Arts & Science College, Subedari. The unit located at University Arts & Science College, Subedari caters to the needs of the students and the staff of University PG College and University College of Law, Subedari. The Health Centre-I & II are providing facilities to the University Students, Research Scholars, Teaching Staff, Non-Gazetted Officers, Class-IV employees, Daily-wage employees and their familieis according to the standards fixed by the Medical and Health Department of Andhra Pradesh. 1) Medical Officer is attending both University Centre-I & University Arts & Science College Health Centre -II. 2) Consulting Surgeon (Tuesday & Thursday). 3) Consulting Physician (Wednesday & Saturday). 4) Consulting Skin Specialist (Friday). Paramedical Staff at University Health Centre-I: Laboratory Technician; Laboratory Assistant; Pharmacist; Dresser; Ambulance Driver; Kamati; Office Attendant; Male Casual and Female Casual Labour. Paramedical Staff at University Arts & Science College Health Centre-II: Pharmacist; M.N.O. and Kamati. 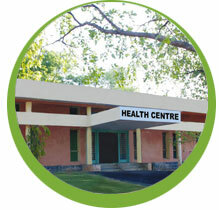 The number of patients coming to the Health Centre is 45,000 per annum. We are taking necessary steps to increase medical facilities to each and every one. Every year the Centre is conducting programmes like Blood Donation Camps, Diabetic and Hypertension Detection Camps and AIDS awareness programmes.